I was thrilled when mommy and hoomans took me to the beach and spend a night in Ruby Resort. It was a long drive ( the longest I ever sat in a car) 4 hours!! Here're the photos! It was a lovely weather when we were there. My first look at the beach was pawsome! A Jack Russell was excited to sniffed me.. bol! Is a She, her name is BooBoo! She very friendly... maybe too friendly.. I was too captivated by the scenery to look at her though..
BooBoo was super interested in me and followed me everywhere.. I asked her to leave me alone..
and gave her a snappy..
She got the message and left with her mommy..
and I could enjoy in peace..
"Hey, this isn't so bad." I was super tired and exhausted!! Is time to wrap it up! end of day 1 ! 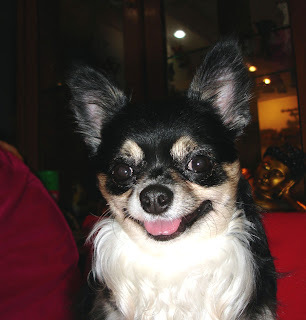 Amber is my adorable, long coat Chihuahua. Her coat is fairly thick and daily grooming is a must. Without her daily grooming, the house floor will be filled with dog hair. Amber sleeps with me on my bed which brings a concern for my parents because of Amber excessive shedding may affect my personal health, for example asthma. Another issue is Amber's constant scratching. Everytime she scratch herself I quickly inspect her for ticks and I couldn't find any which left me puzzled. Something is causing Amber to itch but I don't know what. Also, take note that dog shedding is common but not normal. If your dog sheds excessively like Amber, it could the cause of deficiency of zinc, amino acid and fatty acid. When I first read about Dinovite, the phrase "stop excessive shedding" really caught my eye. It will be a great relieved if my mom nagging would end. Is been a problem since Amber was just a puppy. Dinovite offers a variety of natural supplement for different causes like itching, scratching and dog odor . All products are effective to provide adequate amounts of nutrients that are lack on the dog's diet. All dog owners including me, our dog health is the main priority above everything else. Giving our dog proper nutriens can help maintain our dogs' health and stay happy for both parties. Dinovite guarantee 100% customers satisfaction with the use of Dinovite products and see amazing result in 90 days. Click on solutions center to read more information about Dinovite. 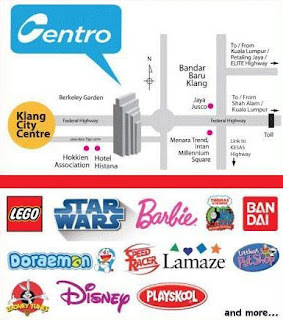 Toys R Us Warehouse sales! Grab among your favorite brands!! & save a bundle for parties, occasions and etc!! Hiiii friends!! me misses everyone and hope you like my new layout. Is sure been a long time since I posted. I look different don't I ?Because mommy cut me fur! I really really have to catch up with everyone!!! It's been so long!! sure is a happy happy momment! Please do update me if there're more big news! !